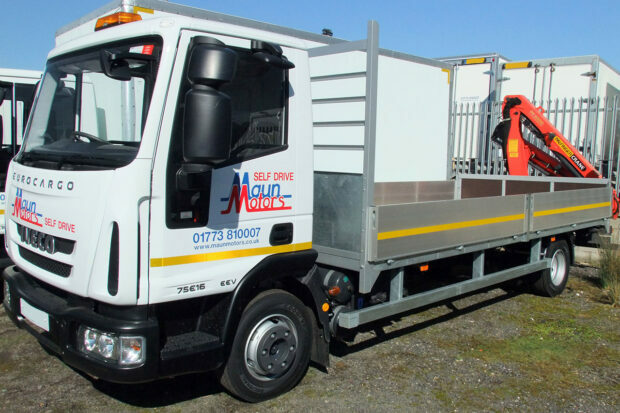 Crane lorry hire – or Hiab hire – has been a speciality of Maun Motors Self Drive for the last 20+ years and we have a comprehensive range of crane lorries available to hire, ranging from 7.5 tonne GVW up to 32 tonne GVW. The continual devolopment of London sees inner-city developments and major proposed projects – such as airports and railways – constantly being envisaged. These developments demand vast amounts of materials to be transported quickly and safely across the city. Modernisation of laws governing lorry safety devices and exhaust emissions has meant that operating HGVs and lorries in London has become a specialist operation. Because of this, many companies choose to hire a crane lorry for use in London, rather than to purchase one outright. 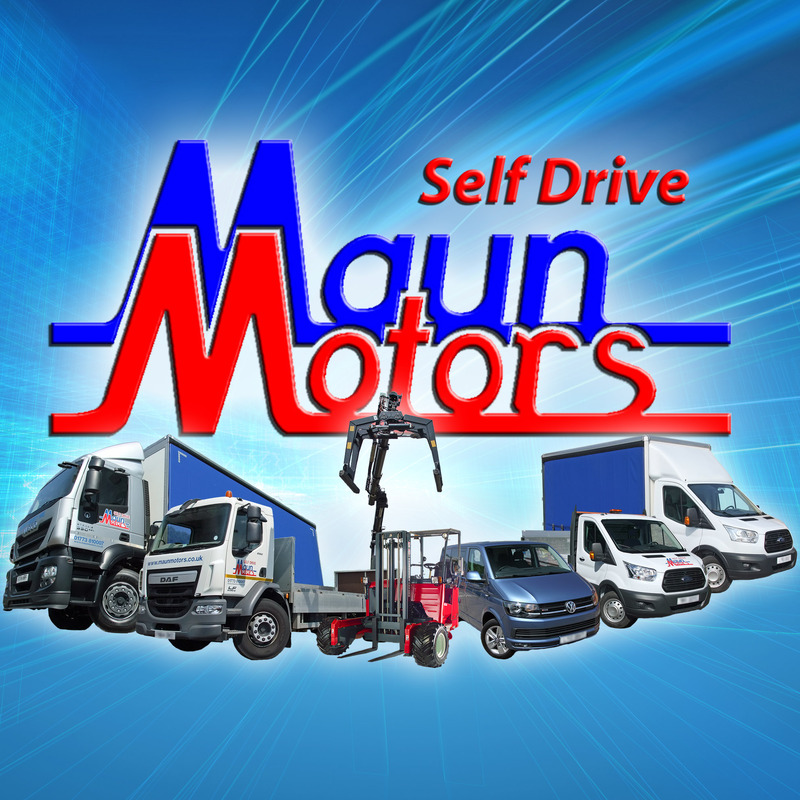 This is where Maun Motors can help. 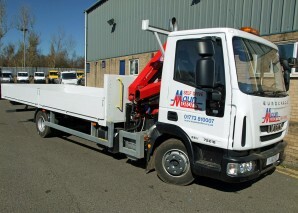 Our fleet of specialist crane lorries and Hiab vehicles are available on short term or long term self drive hire and many are suitable for use within London. 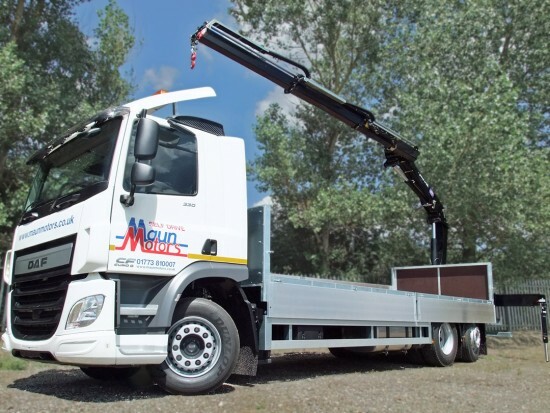 Versatile, heavy-duty Dropside Lorries or Flatbed Trucks, fitted with either front-mounted or rear-mounted cranes – make delivery, loading & unloading a simple and efficient process. 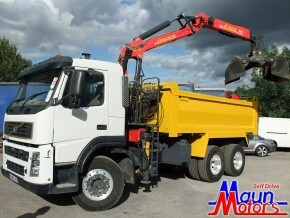 To transport waste materials, Maun Motors can supply 18t, 26t & 32 tonne Tipper-Grab ‘Muckaways’ which come complete with a front mounted crane & clamshell grab bucket – making light work of waste removal! 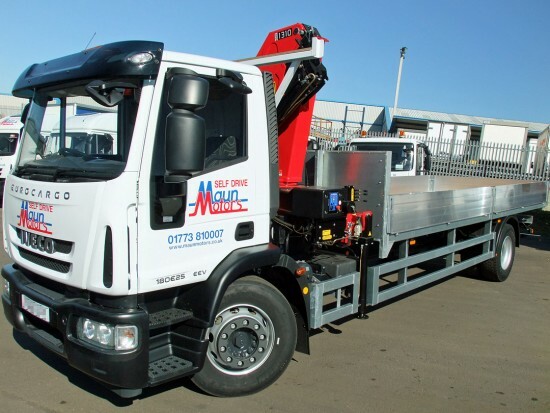 To help our customers comply with the evolving legislative requirements for commercial vehicles operating in & around major UK cities like London, Maun Motors can supply a selection of hire vehicles which are compliant with the standards of CLOCS, Crossrail and FORS. 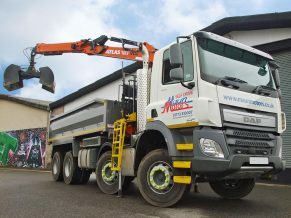 These vehicles feature additional safety equipment to help reduce Goods Vehicle collisions with vulnerable road users – such as cyclists and pedestrians – whilst managing other elements of WRRR (Work Related Road Risk). 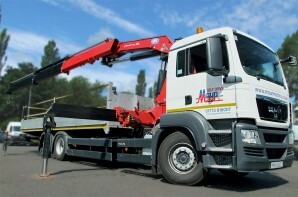 Our modern Hiab hire fleet consists maily of trucks built to meet Euro 5 or Euro 6 emissions standards, but please state at time of booking if you intend to operate within the M25 Low Emission Zone and/or the Central London Ultra Low Emission Zone so that we can ensure an LEZ-compliant or ULEZ-compliant lorry is supplied. 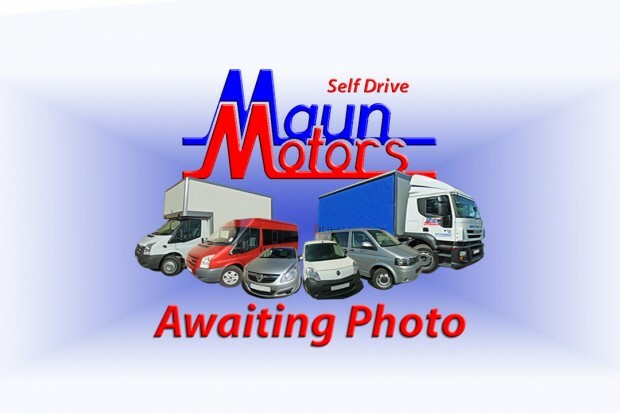 The Maun Motors Self Drive hire depot is a convenient drive straight up the M1 from London. We can be reached by road in around 2.5 hours from London City centre and we are just 3 miles from Alfreton station and 11 miles from Chesterfield train station, which are both on the Midland Mainline and accessible direct from St Pancras in as little as 90 minutes. We can be reached easily by car from the following surrounding areas: St Albans & Watford (around 2 hours), Heathrow Airport (139 miles) and Milton Keynes (92 miles). 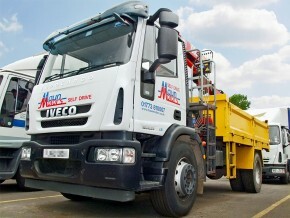 Hiab hire, Minibus hire, Moffett Truck-Mounted Fork Lift hire, Tractor Unit & Trailer hire, Truck & Lorry hire, Van hire.